This was done 6 weeks ago and, as per the screeder's instructions, it was left covered with a polythene sheet for a week to help the initial cure and has been left uncovered since at a room temperature of ~16c - not for any particular reason; although I was mindful that the slower it dries the less issues I would likely have. 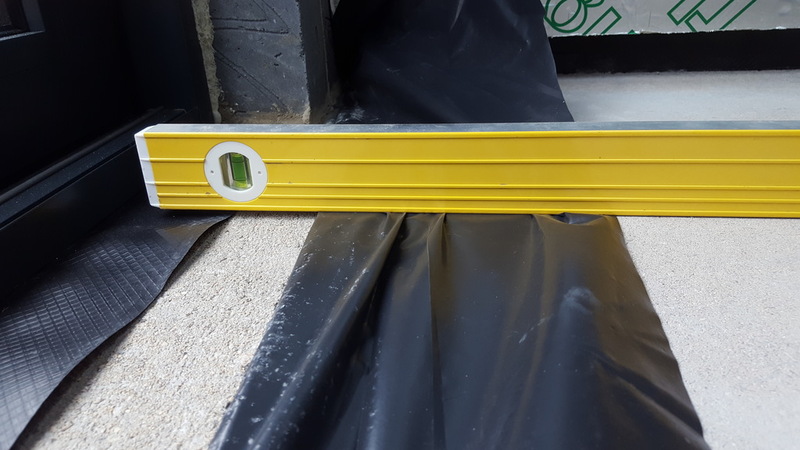 (The black sheet on the right isÂ*the separating barrier between the screed and the concrete slab underneath but it is very thin and so not affecting the measurement as much as it might appear). 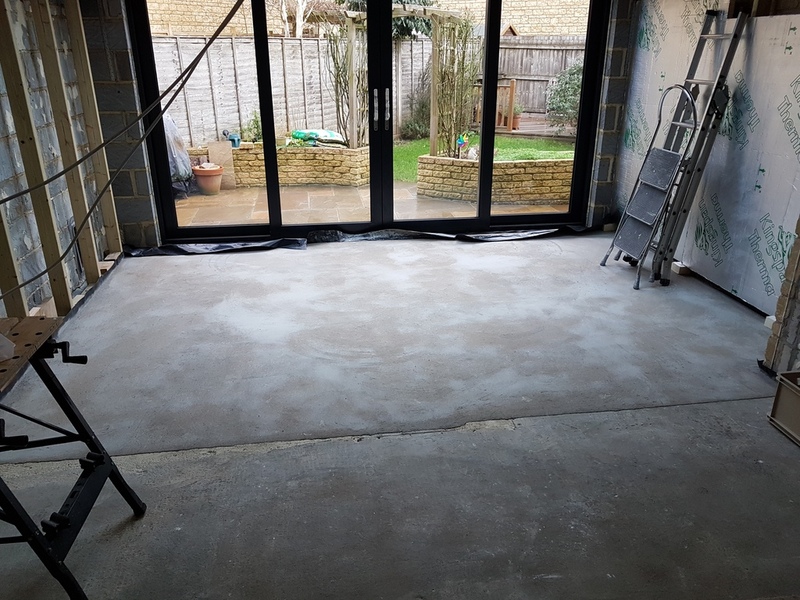 From what I have read, unbonded screeds can be prone to curling as a result of the top surface drying out quicker than the bottom and soÂ*whilst it might not be that surprisng that this has happened I am keen to get it sorted. It's not just the height differential that concerns me (some self-levelling compound to bring the lower levels up could likely sort that) but moreÂ*the fact that you can feel movement in screed if you jump up and down there. There's no cracking (yet!) but it is definitely flexing. The screeder is coming out on Thursday to have a look but I would welcome anyone's thought on what options I have, noting that I'll be covering it with a 15-18mm engineering wood floorÂ*eventually. 3. Drill holes and force some sort of resin in/under the screed and then bring the threshold height as required - don't know anything about this as a technique; it just sounds like a possibility to me. I did read that sometimes the curl can be reversed by putting a polythene sheet back overÂ*the affected areas for a week to move the residual water balance. I am surprised that this could work but I've seen a few mentions of it in what appear reputable places. Does anyone know anything more about this? I suppose it's got to be worth a try before Thursday just to see if anything changes. You are probably over thinking it! You know what John; you've just summed me up to a tee! I can't seem to help it. I've been reading a but more about curling (including in BS8204 'Screeds, bases and in-situ flooring' - if reading something like that is not overthinking it I don't know what is!) 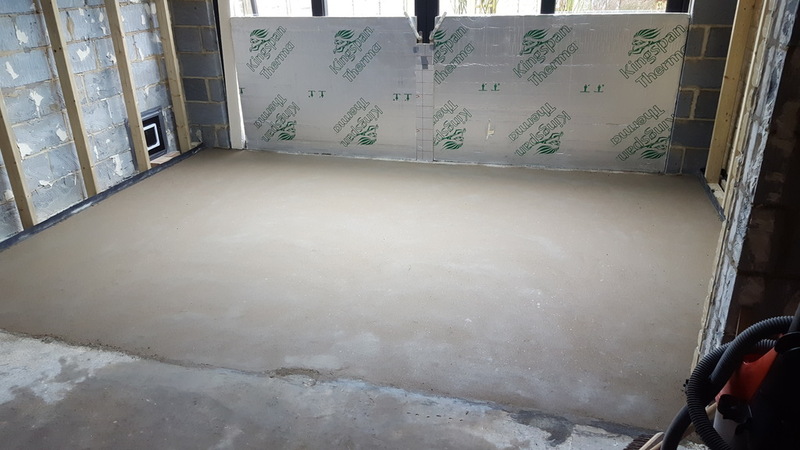 and it seems that the curl might actually reverse as the screed continues to dry, particularly if I cover the affected areas to help distribute the moisture more evenly. The screeder is coming Thursday anyway but, in line with what you suggested, I may well take the position of seeing how things go. It's not like anything can really be done right now if the curling hasn't stopped (we are 42 days in to an at-least 120 day complete drying time). and I tiled over it. I could never see the point of unbonded screeds. Maybe too thin or the wrong mix. As your link says, for a 50m+ thickness like mine it needs to be unbonded. I suspect it is because the extra thickness results in a greater differential in drying time throughout the depth hence greater potential for movement (as in this case!). He came up with two options: 1) Cut out the bad corners and re-screed them, or 2) remove the whole lot and redo it. We agreed that option 2 was probably better even if it is more work, althoughÂ*I did offer to assist with the removal. The screeder came on Saturday to dig the old screed up; I helped him with it partly as I did feel sorry for him having to rip out his own work but also didn't want to let him loose with a breaker (my breaker I hasten to add!) so near to the new doors without supervision! It's a modified sand and cement mixture so will be fast(er) drying and therefore less prone to issues. Time will tell!